In other words, a blockbuster new Apple phone that more than doubles unit sales and blows a hole in the middle of the Android market might only add 20% to Apple's profits. The iPhone 5 has tipped the scales in Apple's favor by beating Samsung's Galaxy S3 to become the world's best-selling smartphone model for the first time in the fourth quarter of 2012. 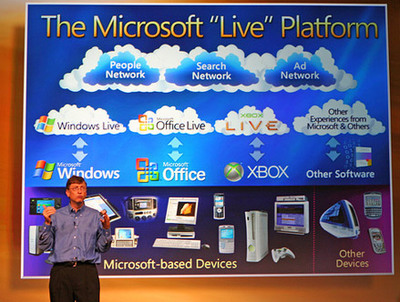 Q: What one Microsoft program or product that was never fully developed or released do you wish had made it to market? Welcker noted that no two members of the WinFS team seemed to be able to answer the question "What is it?" in a succinct, cohesive way. Because no one could identify the essence of the project, it made it really hard to make any decisions about what should or shouldn't be included. Bill Gates explains the big picture (but can he explain that picture behind him?). "...this slide really pulls it all together" Bill Gates said of the slide above. Which leads me back to the same question Josh asked about the Surface RT: who is this for? People need to stop calling the iPad, and other tablets, mobile devices. They're home PCs that are a little easier to carry around.